Eagle County’s Confiscatory Taxation is OUT OF CONTROL! No less than (11) Tax Questions on Eagle County’s “Composite Ballot”. (CLICK HERE). 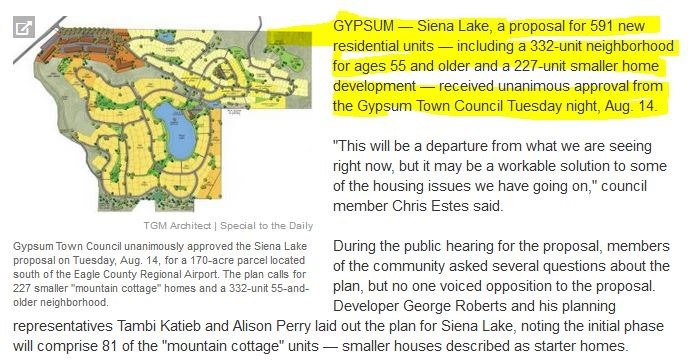 You can bet Eagle County’s overpopulated Real Estate community IS NOT telling any of their prospective 2nd Home Owners – about any of these proposed new Taxes! Considering Retiring in Eagle County, Colorado? The ECT knows just the place inside Gypsum, Colorado. News clip below, August 14th 2018 – from the Vail Daily. Remember only YOU can vote for “More Affordability”!